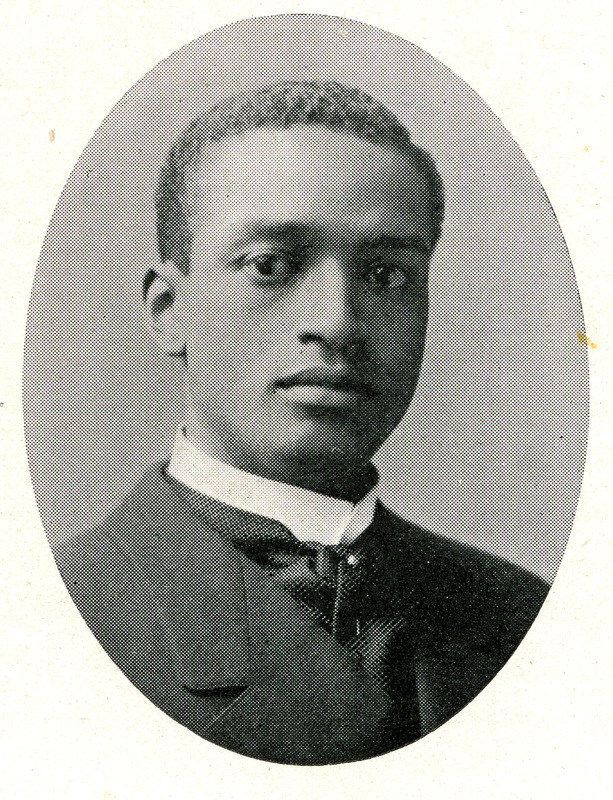 Like his African American predecessors at MAC George R. Bridgeforth, William Lane Hood, Zack Hubert, Albert L. Mebane, Caruthers had already graduated from an Historically Black College before enrolling at MAC, and was a stellar student, taking second prize in the Grinnell Agriculture Prize in 1907. (2). Like so many of the early African American students at MAC, Caruthers went on to a career in education at Historical Black Colleges. Shortly after graduating, he accepted a position at the Manual Training and Industrial School for Colored Youth in Bordentown, N.J., and succeeded so well that he was appointed the school's principal within a year (3). It is worthy of note that MAC President Lyman Butterfield was selected to deliver a commencement address on “vocation and education” at the Training School (4). Between at least 1916 and 1920, Caruthers was reported by the American Missionary Association as being on faculty at Fisk College in Nashville, although when he registered for the draft in 1918, his registration notes that he had recently left Fisk for a position at Howard (5). Caruthers was married to Annie Pauline Caruthers. College Signal, Oct 2, 1907. Catalog of Graduates and Former Students of the Massachusetts Agricultural College (Amherst, 1916), Seventy Fourth Annual Report of the American Missionary Association (New York, 1920).